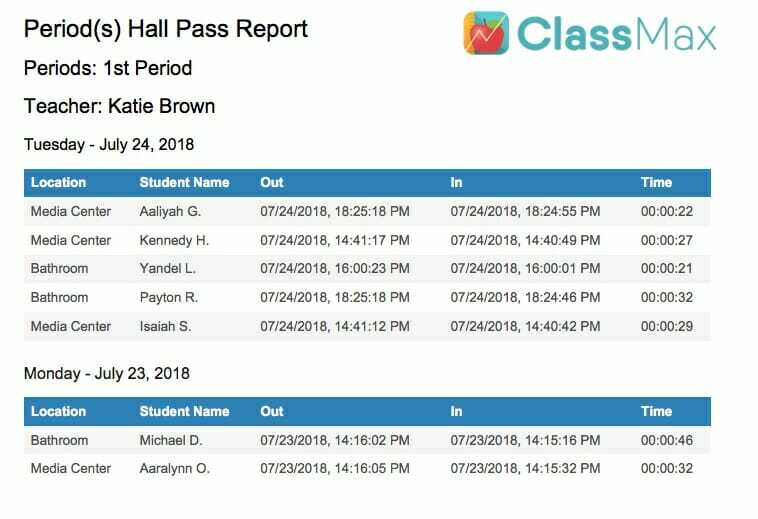 ClassMax makes hall pass monitoring simple! Simply tap a student’s name, assign where they are going, and the timer starts running. When they return, tap their icon and the hall pass is logged in a neat, accurate report. Know who is gone, how long they were gone, and where they were. You can even print hall pass reports by student for those frequent flyers we all have! Organizing your class periods into different grade levels and subjects allows you to easily switch from subject to subject as you teach without running to your desk to get a different binder, notebook, or spreadsheet each class period. Choose from our preloaded Common Core standards or upload your own. Save time and teach on, teacher friends! We know that no secondary classroom is the same, so why should your software be? Track not only standards-based progress, but progress towards individual IEP goals, too! Ditch the spreadsheet, teacher friend! Let ClassMax organize your data with simple, efficient input, allowing you more time with your students and less time inputting data. Keep your notes and communication logs up to date and at your fingertips with our digital student files. Using student notes, you can eliminate digging through dusty file folders once and for all. Track your every interaction with students quickly and accurately, ensuring all that hard work you are doing is logged and noticed.